From his dead-end job to his one-bedroom apartment, life so far has been a steady grind, one challenge after another. But that’s about to change. During a routine encounter with a police officer in Oakland, Isaac makes a life-changing realization: He can use gravity to do almost anything. To build or destroy. To lift up or hold in place. To bend, straighten, or break apart. Isaac is suddenly in command of a power beyond his wildest imagination, the power to reshape the world around him, something that—as a biracial black man from hurricane-ravaged Mississippi—he has struggled to do his entire life. Filled with newfound hope, Isaac immerses himself in the experimentation process: testing his limits, broadening his skill set, and refining his control, all in secret. But Isaac, a single father of an eleven-year-old daughter, is forced to reveal the extent of his abilities when his daughter is attacked. This sets in motion a series of events that strips him of everything he’s worked so hard for: his child, his job, and his home. Pursued relentlessly by the authorities, Isaac is forced to use his abilities in increasingly dramatic and dangerous ways to avoid capture and reunite with his daughter, ultimately learning that the power he wields—though enviable—comes at a deeply unenviable price. Gravity Breaker challenges us to rethink what it means to be powerful in society. Isaac’s story is both individual and universal, as it unblinkingly confronts issues such as parenthood, poverty, unearned privilege, and the often strained relationship between the police and communities of color. 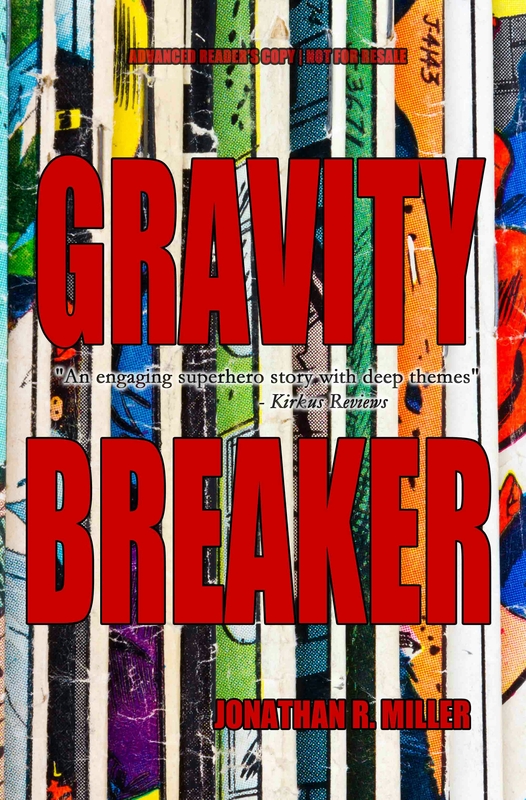 At its core, GRAVITY BREAKER is a Science Fiction / Superhero-type story, but this tale also tackles some very real and relevant social issues. Author Jonathan R. Miller has crafted a superbly entertaining tale of an ordinary man who develops extraordinary powers. It makes the reader ponder what they would do if they could suddenly control gravity. Would you use the powers for good? Or would the temptation of easy money overwhelm you? Besides being an engrossing Superhero story, Gravity Breaker is also a commentary on what men of color sometimes have to contend with just because of the color of their skin. With the recent racial tension in the United States, it is impossible to turn on the television or radio or to open a newspaper without hearing about #BlackLivesMatter as well as the recent police shootings. The main character in this book is Isaac. He is a single father who is doing his best to provide for his daughter. He works hard every day and stays on the right side of the law. Despite this, he is harassed by the police while working and when he explains to the officer why he is pushing a cart full of laundry bags, the officer does not believe him and wants to place him under arrest. Where I live, this would never happen. If it did, the entire community (white and colored) would be up in arms. However, I am well aware that things like this happen on a daily basis in many urban centers across North America and it needs to stop. I commend Jonathan R. Miller for using his writing talent to not only entertain his readers but also to inform them of the injustices that occur in our society. There is a sequel planned for this book. It is set to be released in 2017 and will be titled: TALAH. (TALAH is the name of Isaac’s daughter.) I will be eagerly awaiting it’s release. I am very interested in reading about what happens next. I also feel the need to mention that I first became aware of Jonathan R. Miller when I read his novel FREND which was one of my favorite books of 2015. 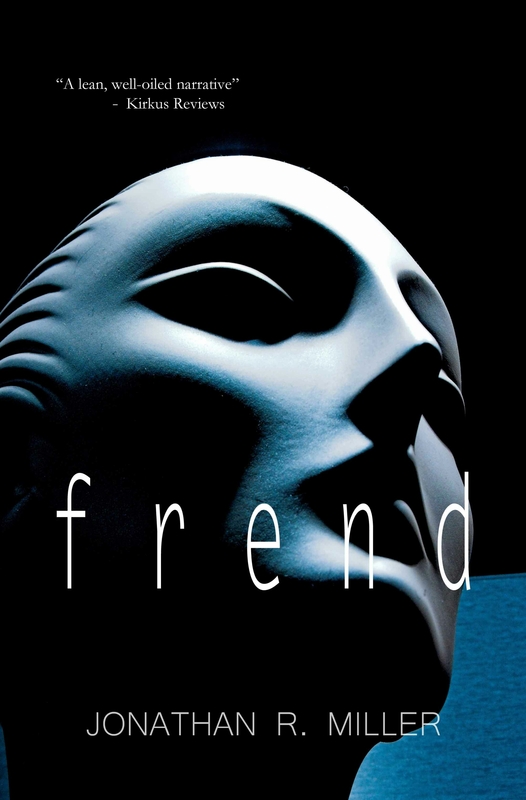 Check out my review of FREND here. * I received a free ARC copy of this book through the Goodreads Giveaway program. 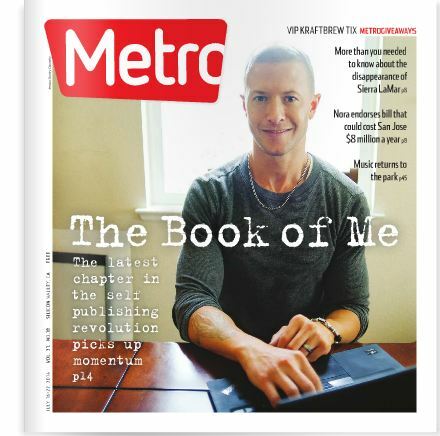 JONATHAN R. MILLER lives in the Bay area of California with his wife and daughter. Jonathan R. Miller is a biracial author of genre-bending literary thrillers with diverse, non-traditional characters exploring issues of identity and belonging. Miller, was born in Illinois and lived in Los Alamos, New Mexico for most of his childhood, and then became a California transplant after undergraduate school at Stanford University. He was an 8th-grade teacher for 7 years in the Oakland public school system, and has worked as a writer in the Bay Area ever since. Miller’s own biracial heritage — black and white, but “passing” as white — has had a strong influence on his thought processes and writing style. His novels deftly explore issues of identity while providing storylines that are layered, cerebral, gritty, thought-provoking, and moving.